We spent a more extended time in our Czech language study today and it was a mix of grammar and speaking. This morning we had our normal language grammar lesson with Tamara and we were working on verbs. There are so many forms that verbs in Czech take, it’s amazing. After some serious drilling and writing, I was feeling much better about it. Tamara has been a huge blessing and I’m very thankful for our time with her. Above is a photo I took of Bethany during our second round of study today. 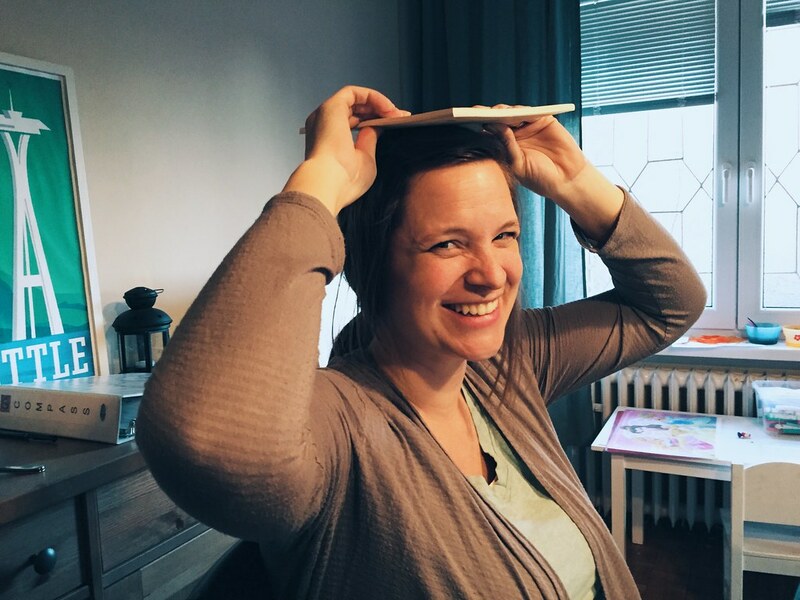 We were doing our normal speaking drills with Jenny and Landen Llamas and we were building simple sentences like “I picked up the book” or “I put the book on my head” and I just had to get a photo of Bethany because it made us all laugh. You’re not really thinking about what you’re physically doing, but mentally just trying to put sentences together and I realized I should probably get a photo of it. As Jenny and Landen were leaving they found a package on our doorstep from America. 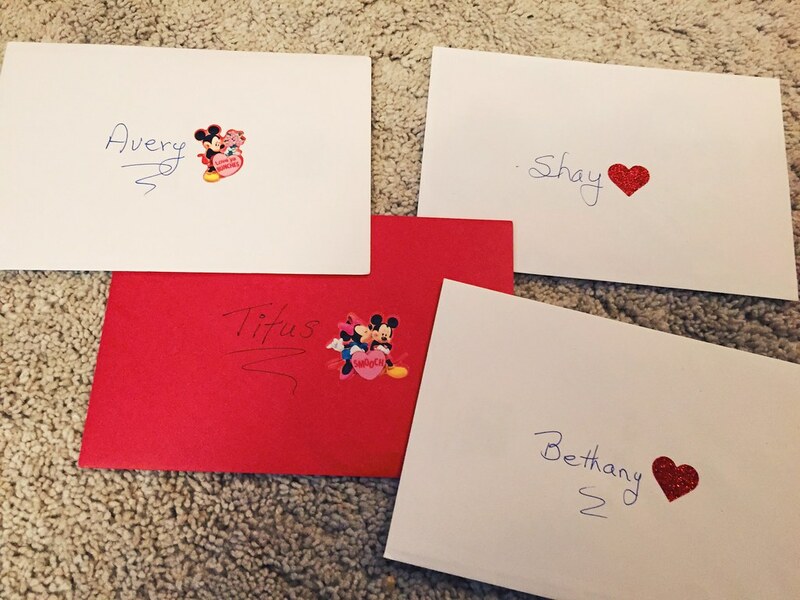 Even though it took a little while to get here, we received our Valentine’s Day cards from Bethany’s parents which they have been sending to us for years now. There was an envelope for each of us and they threw in some of our mail that was delivered to them in the States. Bethany’s dad also included a handwritten note inside which was really nice. We don’t get much mail, so when anything comes it’s kind of special. Thank you, family, for thinking of us even on Valentine’s Day! Tonight we took a short trip to the grocery store as a family just for something to do. 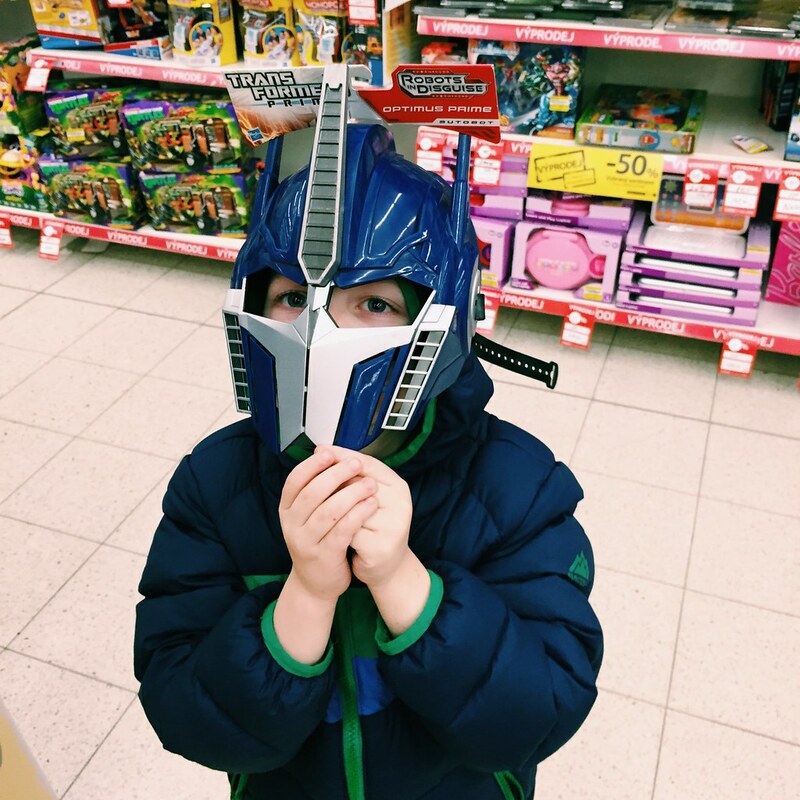 We only picked up a few things, but as we were walking around and just browsing I turned around to find Titus with this mask on (shown above). He kept saying, “Dad! Take a picture of me!” I didn’t realize until tonight that it was a mask of Optimus Prime from Transformers. Titus has no clue what that is, but I just love that he’s enjoying being a boy. While driving to the store he told Bethany he wanted to go on a date with her tomorrow. They have been talking about it for a while now, but I think it’s going to happen tomorrow. I just hope Titus has more ideas on what to do on a date in Czech because I’m just plain out of them! We had some plans to make a little trip to Prague tomorrow to see our friends, but we’re delaying them until maybe next week. The youth group at our church is having a big party tomorrow and we would really like to be part of it. But we also want to get out and explore Czech. We’ve never really had much opportunity to spend time in Prague so we’re hoping to do that soon. It’s so crazy that we live in Europe.